I had a mini break-down last night after trying on like every dress that I own and hating them all. So TODAY, because I need more discipline in my not-at-work free time, I’m going to do the following. And after I finish all this, I’ll probably read. 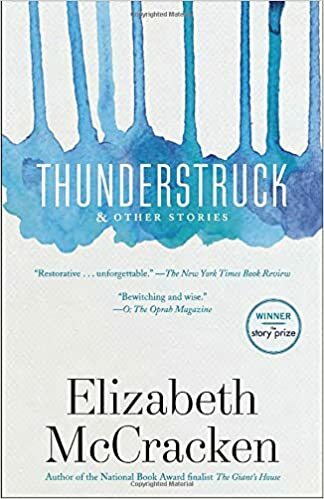 I finished the Elizabeth McCracken book last night (OMG SOOO GOOD) and the reason I was despairing yesterday of wearing clothes again was because we went to see Jonathan Franzen speak at Vanderbilt, so I have his new book to read now. Or, hell, I might reward my good behavior with some Skyrim. We’ll see. Anyway. Starting my day off with lists at least puts me into the right mindset. Now I just need for it to last until 5:00pm. I’m reading two right now, and have a growing back-log to hurry up and get to, as well. THIS ONE, though. This was a random find at McKay’s the other week – hardcover, brand new, autographed. I did a quick search, standing in the fiction aisle, to make sure the book wasn’t going to be a dud, and when I saw this review on Amazon — “If you’re looking for happy, pleasant tales then do not read this book. At the same time if you want a maudlin tearjerker, you should go buy a Nicholas Sparks book instead. If, however, you want a grown-up book about real humans facing the seedier side of life then this is your book” — the decision became a no-brainer. And I’m a little over half-way through these short stories now, so I can’t exactly claim that the whole book is brilliant, but so far I have absolutely loved each story. I don’t make any claims to be a book critic, but I will claim to have good taste in literature, which makes me feel like I should say a little more about the book. The stories – so far – are about broken people, and broken families. Broken relationships. Trying to navigate these broken relationships, and finding good ways to do that but also finding what seem like dead ends, and having to start over. The stories are written with compassion and warmth, which make the brokenness seem beautiful and heart-wrenching (which, I mean, brokenness has a tendency to bear these traits anyway, doesn’t it?). Furthermore, I’m still trying to get through the first book in the Foundation Trilogy. I’m making good progress too — got a lot of reading in the other night while trying (vainly) to download the new iOS software for my phone. I’m understanding more and more why people say this series is one of the best ever written (a statement many would take issue with) — or at least why it’s one of the best in science fiction (a statement that only a fool would take issue with). So, that’s coming along. And tonight we’re going to see Jonathan Franzen read from his newest novel, Purity (the purchase of which was admission to the reading). I haven’t actually read any Franzen, but Stephen has read (listened to) two novels over the last couple of months and hearing them described has made me want to read Purity. All this book excitement is a very good thing, because I am currently broke as a …um, is there a simile for “broke as”? “Broke as an English major.” “Broke as a squirrel on the plains” (no nuts, but I assume they eat other things too?). “Broke as a 500-lb crack whore.” Anyway, you get the idea. I’ve been daydreaming a lot lately about camping and reading. Or even just going to Percy Warner and reading. Ahh. Yesterday, I walked past the place where I dropped Matt of at work the day he killed himself. It’s a spot you wouldn’t even notice unless you had cause. I walked past, then stopped to look back and play the scene through in my head again. He wouldn’t look me in the eye that morning. What would I have done if I had noticed the gun in his bag? I read something recently about how laughter is as natural a reaction to death as tears are, because death is so utterly absurd. That a person can be there one minute, and be gone for good the next minute is laughably hard to wrap your head around. Like, how is that even possible. And yet, how is it so hard for us to embrace death when we are literally surrounded by smaller deaths and lives every day of ever week? The leaves are drying up and falling outside right now, and there will never be a set of leaves exactly like these are again. Is it silly to compare people to leaves?